Well known link builder, martinibuster, started a thread at WebmasterWorld to cultivate a wish list of link building changes for 2011. (1) What would you like to see in link building for 2011? 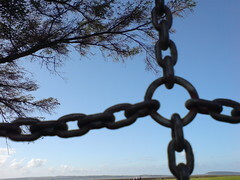 (2) What would you like to see go away in link building for 2011? Heck, even one person wants people to do more link exchanges. So what do you want to see or not see in 2011? Join the thread.